Government is continually creating the needed enabling environment to make Ghana a pharmaceutical hub in the sub-region to not only support healthcare delivery but also create jobs, Kingsley Aboagye-Gyedu-Deputy Health Minister, has said. “I urge all players in the pharmaceutical sector, including the private sector, to pool resources together so as to turn Ghana into a vibrant pharmaceutical research and development and production hub – not only to support healthcare delivery but also to provide jobs and their associated benefits to millions in Ghana,” he said. 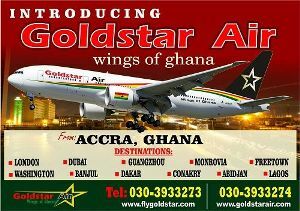 He noted that these jobs will be offered to the teeming number of graduates who are without secure jobs and living below their potential as future leaders, managers and players in the socio-economic systems of Ghana. Mr. Aboagye-Gyedu was speaking at the signing of a Memorandum of Understanding (MoU) between the Chamber of Pharmacy Ghana and Appolonia City for the establishment of a Pharma Village at the Appolonia Business Park, to serve the unique needs of the pharmaceutical industry. The minister noted that his ministry and the chamber are currently implementing policies and programmes that will ensure medicines are available to patients at the right time and right cost. “To help increase access to healthcare and essential medicines at affordable prices, government has initiated several policy measures in the health sector to support the local pharmaceutical industry and strengthen its capacity to produce essential medicines at competitive prices,” he said. He added that within the support, locally produced pharmaceuticals are zero-rated under the Value Added Tax (VAT) law, and there are also restrictions on the importation of 49 products which the local pharmaceutical industry is considered to have sufficient capacity to manufacture. Touching on signing the MoU, Mr. Aboagye-Gyedu said he has no doubt that the signing ceremony will lead to the establishment of an economic park exclusively for the pharmaceutical industries. “This will lead to a generation of modern pharmaceutical manufacturing facilities which will be in most competitive position to meet all current international standards,” he said. Harrison Abutiate, Chairman of the Chamber of Pharmacy-Ghana, explained that the Pharma Village – a 60-acre lot located inside Appolonia City – will promote Ghanaian participation and collaboration in foreign commercial transactions through joint ventures, technology licencing, subcontracting, and franchising using the power of government procurement to support local investments. “The Pharma Village will help reduce the high level of imported medicines, which stands at about 70 per cent of the market share. Establishing this enclave will, therefore, reduce the pressure on foreign exchange, and in addition help employment-creation directly and indirectly,” he said. 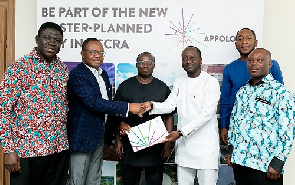 Bright Owusu-Amofah, CEO of Appolonia City, noted that signing an MoU with the Chamber of Pharmacy-Ghana shows that the Appolonia Business Park is the most ideal industrial zone in the country right now, and it is ready to serve others. “This is a win-win for everyone involved. Our core model at Appolonia City is to develop lands and invest in the needed infrastructure; and at the Chamber of Pharmacy, what they do is to is support the manufacture, importation and distribution of pharmaceutical products. It, therefore, makes sense for the two of us to partner,” he said. “They saw the need in collaborating with us, and what this means is that it catalyses the industrial park, and on their side, it is the beginning of a dream come true. We will help them develop their side of the park so that it is suitable for their production,” he said. The cost of healthcare has been continually rising – from GH¢4.8billion in 2016 to GH¢5.2billion in 2017; and, similarly, the expenditure projection from pharmaceuticals, which was GH¢1.2billion in 2016 but rose to GH¢1.3billion in 2017.